In 1489 Johan Hurus printed the first collection of fables in Spain, Lavida del Ysopetconsusfabulas hystoriadas. Illustrated with nearly 200 woodcuts, this work quickly became the most-read book in Spain, beloved of both children and adults. Reprinted many times in the next three centuries and carried to the New World, it brought to Spanish letters a cornucopia of Aesopic fables, oriental apologues, and folktales that were borrowed by such writers as Cervantes, Lope de Vega, and especially the fabulists Iriarte and Samaniego. John Keller and Clark Keating now present the first English translation of this important literary work. The Latin and German lineage of La vida was significant, for it placed Spain in the mainstream of European fable lore. 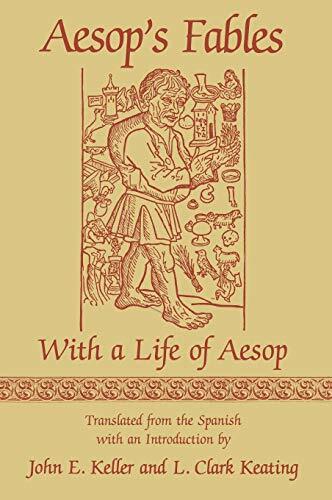 The highly fictitious life of Aesop, the misshapen Greek slave who reached the highest social level, contributed to the development of medieval romance and the picaresque novel. The book is thus important to students of comparative literature, literary history, and the development of the Spanish language. Of equal value are the woodcuts, which depict the daily life of medieval Europe and contribute to a better understanding of fifteenth-century art history, bookmaking, natural history, and the visualization of narrative. La vida del Ysopet thus constitutes one of the finest concordances of text and illustration in European literary history. If you have any questions about this product by Brand: The University Press of Kentucky, contact us by completing and submitting the form below. If you are looking for a specif part number, please include it with your message.